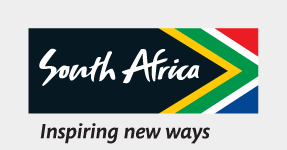 PPretoria is the diplomatic hub of South Africa, which means cultures from all corners of the globe call this city home. So if you’re in the mood for Indonesian, Moroccan, French, Japanese or home-grown South African fare – it’s all on offer. It’s making the decision that’s the hard part. Dining out in Pretoria is a treat, as here eat, drink and be merry is the name of the game. It is a city of diplomats so the multicultural, fine-dining options are superb. You will be spoilt for choice with sophisticated celebration options. TThere are more than 100 international embassies and high commissions in Pretoria. IIn Pretoria, restaurants offer a wide variety of cuisine. If it's Belgian chic you are after, chef Daniel Leusch's La Madeleine, one of Pretoria's longest-standing fine-dining restaurants is the way to go. Recently joined in the kitchen by his daughter Anne, chef Leusch senior has begun to incorporate youthful elements of molecular gastronomy into his otherwise classic repertoire. IIf Italian is your flavour, try the deliciously ebullient Ritrovo Ristorante for marvellous Mediterranean cuisine. From the first bite of antipasti to the last mouthful of zabaglione, you can't go wrong with the father and son team, Giovanni and Fortunato Mazzone. CCongolese culinary fare is on offer at Zemara, where chef Jackie Picard conjures up delicious palm pulp-infused antelope casseroles, roasted tilapia fish and deep fried plantains with aplomb. For a curry treat, head for the Oriental Palace in Arcadia. The bhindi gosht (okra curry) with aloo naan paratha is a one-way trip to paradise (but, please note, there is no alcohol allowed at this establishment). OOr if you fancy a taste of relaxed boerekos, the Sunday buffet at Monument Restaurant inside the Voortrekker Monument offers unbeatable flavours and value for money. Each Sunday up to 400 people arrive to dig into the three-course feast, including a full carvery.